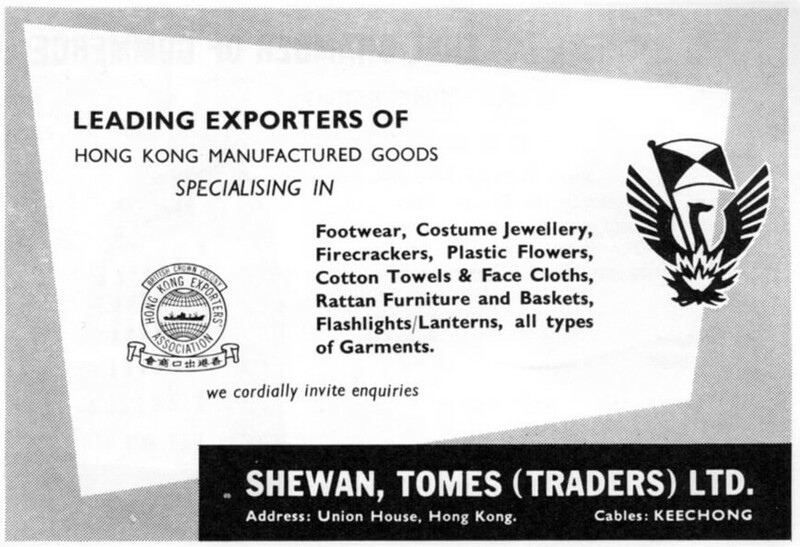 HF: Shewan, Tomes & Co. was one of the leading trading companies in Hong Kong and China during the late 19th and early 20th century. When Russell & Co., then one of the largest mercantile firms in the Far East, went out of business in 1891, former employees Scotsman Robert Shewan and Englishman Charles Alexander Tomes took over the remains of the operation and changed its name to Shewan, Tomes & Co. in 1895. The firm eventually had offices in Hong Kong, Canton, Shanghai, Tientsin, Kobe, London, and New York with agencies in Amoy, Foochow, Formosa, Hankow, Manila and the Straits Settlements. 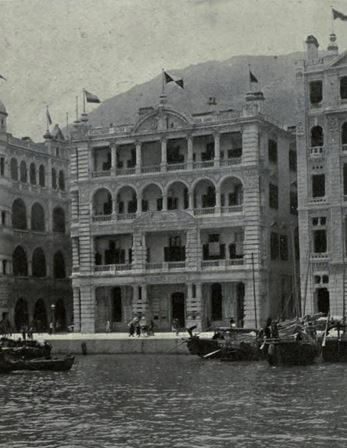 Shewan, Tomes & Co.’s head office was at the St. George’s Building in what is now Central, Hong Kong, shown in the image below. The Hong Kong Heritage Project blog on 30th January 2015 contained the following information about this important HK company which was linked to a large number of businesses in HK and elsewhere. The images shown here were not included in the HKHP blog article. “Shewan, Tomes & Co was one of the earliest foreign businesses to be established in the Far East. The company dates back to 1818, the year when its predecessors, Samuel Russell & Co. (later Russell & Co.) came into being in Canton, China. The firm was American, with its roots in Boston. Russell & Co. expanded its business into Hong Kong in the 1850s and also developed a river steamer service between Hong Kong and Canton in 1859. 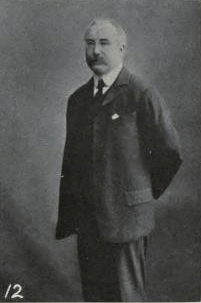 Robert Gordon Shewan joined the firm in 1888, having been engaged by the London Agents of the company. At the time of Mr. Shewan’s arrival, Mr. William H. Forbes was in charge of the local office, assisted by Vincent Smith and Charles Alexander Tomes. In 1891, the business of Russell & Co. came to an end, squeezed out of existence by the American Civil War plus competition from China Merchants Steam Navigation Co. The firm was taken over by Shewan under the name Shewan & Company in 1891 in a management buyout. In 1895, Charles A. Tomes was granted a partnership, and the firm adopted the name of Shewan, Tomes & Company. The firm dealt with the export of produce from Canton through Hong Kong, including raw silk, tea, matting, fire-crackers, palm-leaf fans, rhubarb and ginseng. The firm was involved with the establishment of the Hong Kong Rope Manufacturing Co. Ltd., The China Merchants Steam Navigation Co., The Green Island Cement Co., Ltd., The China Light & Power Co., Ltd., and The China Provident Loan & Mortgage Co., Ltd., amongst others. See: The Hong Kong Heritage Project The Hong Kong Heritage Project is a non-profit organisation established in 2007 to preserve history and promote the appreciation of heritage in Hong Kong. Our Archive holds a unique collection of audio, visual and documentary records, as well as Hong Kong’s largest oral history collection, which interest both local and overseas researchers and academics. Our Index includes several articles about China Light & Power, Green Island Cement and the Hong Kong Rope Manufacturing Co. Ltd.